I don’t have a magic beer crystal ball—maybe for Christmas, Santa?—but I’m inclined to say pour-your-own bars will never totally replace humans behind the taps. But that doesn’t mean we won’t see a lot more of this technology in the years to come. Here’s how these bars work, for those who’ve never been: You purchase a plastic card or wristband from a human staff person (who can check your ID). You then use that card as your “tab” while you pour as much or as little beer as you want from the multiple taps. Usually, there’s a limit to how much you can pour, to keep drinkers from overdoing it. At the end, the card tabulates your bill, you pay, and that’s it. 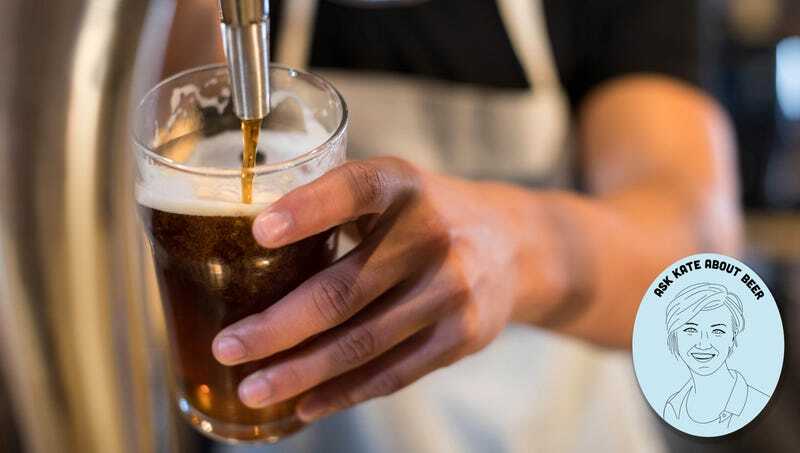 iPourIt, a company that sells the technology for such bars, says its taps have dispensed 45.5 million ounces of beer from 2,450 breweries in the year between September 2017 and September 2018. That’s a lot of beer. These bars are popping up in cities everywhere, from Chicago to Durham, North Carolina to St. Petersburg, Florida. Even breweries themselves are adopting the model. But are they good for beer drinkers overall? I see pros and cons. On the plus side, there’s no waiting in line for a busy bartender, or trying to flag down a frantic server during the happy-hour rush. Pour-your-own also allows drinkers to serve themselves as few ounces of beer as they’d like; as a big fan of half-pours or tasters myself, I dig that aspect a lot. And these bars also say their model encourages sampling and getting outside your comfort zone. If you know you only have to commit to three ounces, maybe you’re more likely to try a new beer or brewery. According to iPourIt data, the average patron pours 4.7 ounces each visit to the beer wall, consuming an average of 28 ounces per visit. That’s almost six distinct beers, if the person doesn’t repeat. Counter opinion, though: Is beer promiscuity inherently a good thing? I am steadfastly in favor of discovering a new beer that you love (obviously), but I am also a fan of curling my hands around a pint of a tried-and-true favorite. Without a human bartender to guide you toward beers that suit your preferences—whether they be for Scotch ales or sour beers or anything-but-IPAs—you could end up kissing a few frogs, so to speak. And that has the potential to turn new beer drinkers off entirely. It’s an argument I hear from a lot of people who are exclusively Bud/Miller/Coors drinkers: “Look at this whole menu of nonsense! Just give me something I know I like.” I worry that pour-your-own bars might overwhelm us with options, leaving us adrift without a beer captain to guide us. Trade people for kiosks or bartenders for iPads and you end up with an experience that feels like those frustrating wine bars in Newark Airport: You’re just punching an order into a faceless computer and hoping your drink tastes good. That may be more than fine when you’re trying to fill your cup quickly at a sporting event or concert, but when I’m trying to really get to the bottom of a pint, I need to talk to someone about it.